Borders and boundaries—whether drawn physically by governments and institutions, or metaphorically by citizens —play an important role in determining how we understand the world and our place within it. While consciously drawn boundaries can foster healthy connections and forge identities, they can also create division. Literal and symbolic borders guide our thoughts and inform our actions. For IFI WID 2018, participants were challenged to create activities that explore the boundaries that interior design can influence to help unite, connect, or divide us. In this exploration we expect to discover many meaningful connections between design and the human/global experience. 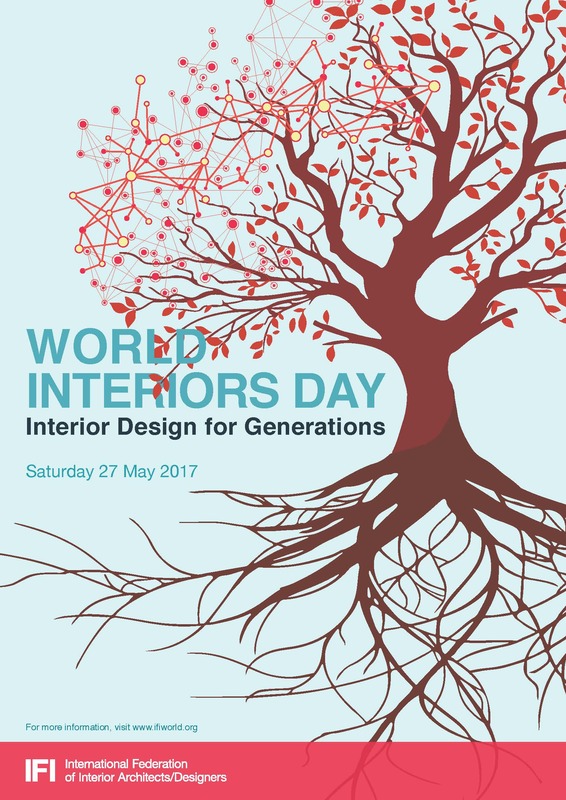 The theme for WID 2017, “Interior Design for Generations”, taps into the comprehensive knowledge needed to foster a greater connection between the built environment, its occupants and time. As global life expectancy continues to rise, the Interiors profession increasingly faces the challenge of creating spaces that serve many different generations, addressing matters of accessibility, sustainability and functionality that promote well-being and facilitate human advancement. While the degree of challenges faced by countries and populations across the global community may differ, the aspirations are invariably the same. 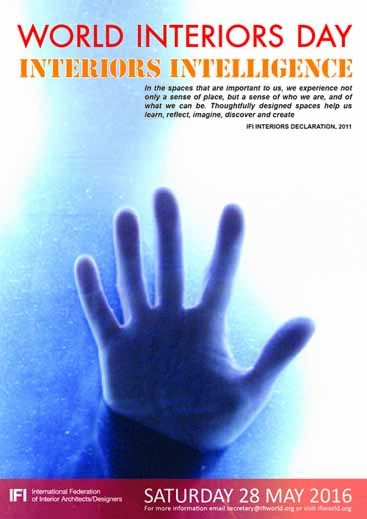 This year’s theme “Interiors Intelligence” taps into the comprehensive knowledge needed to continue to bridge gaps in the Interiors profession and to foster a greater appreciation for, and connection between, the built environment and its occupants. It will engender and promote well-being and facilitate human advancement. 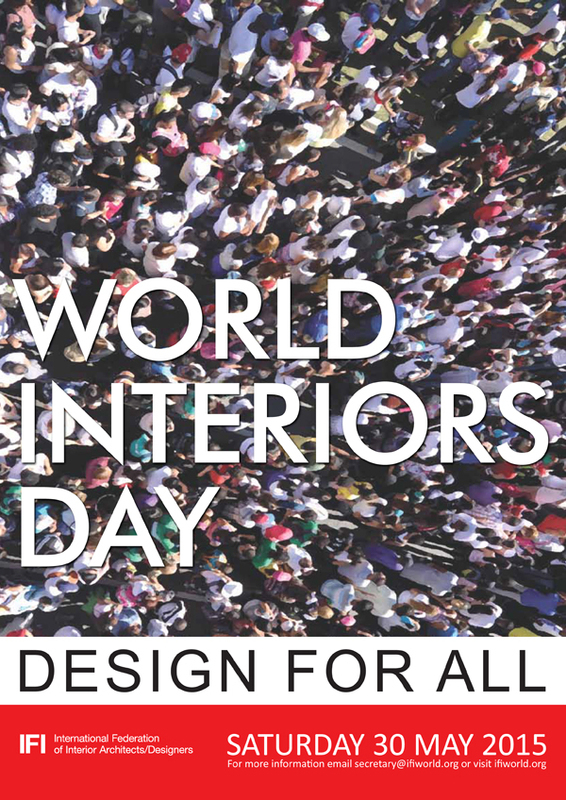 With the theme “Design For All”, IFI aimed to bring the IFI Interiors Declaration to reality and imbed the words – value, relevance and responsibility by applying good design into culture, business and knowledge for the purpose of improving lives and creating more inclusive environments. Design solutions are reaching a much wider remit within health, ageing communities and wellbeing. Design can change lives and create better places to live, work and play, bringing communities together. 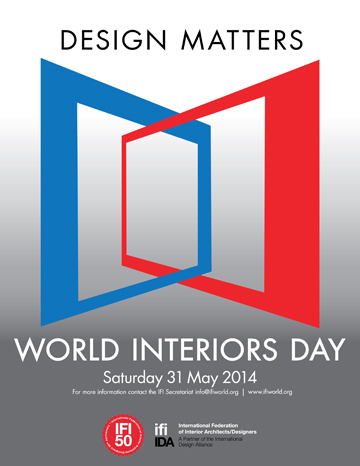 The theme for IFI World Interiors Day 2014, “Design Matters”, promoted the role that design serves as a medium for positive change. Design constitutes to life quality with its pervasiveness and serves the human good though creativity and innovation. 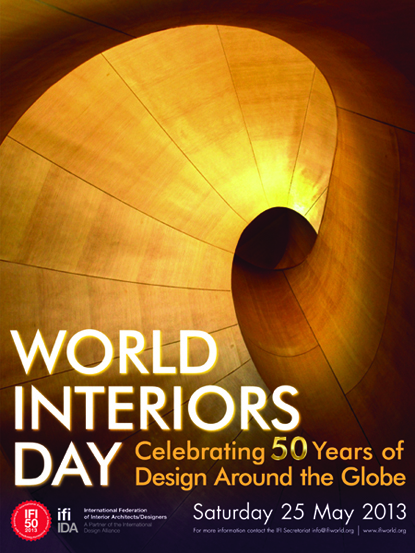 This year’s theme“Celebrating 50 Years of Design Around the Globe”, recognizes the rich history of communication and consensus within the Interiors profession over the past 50 years. 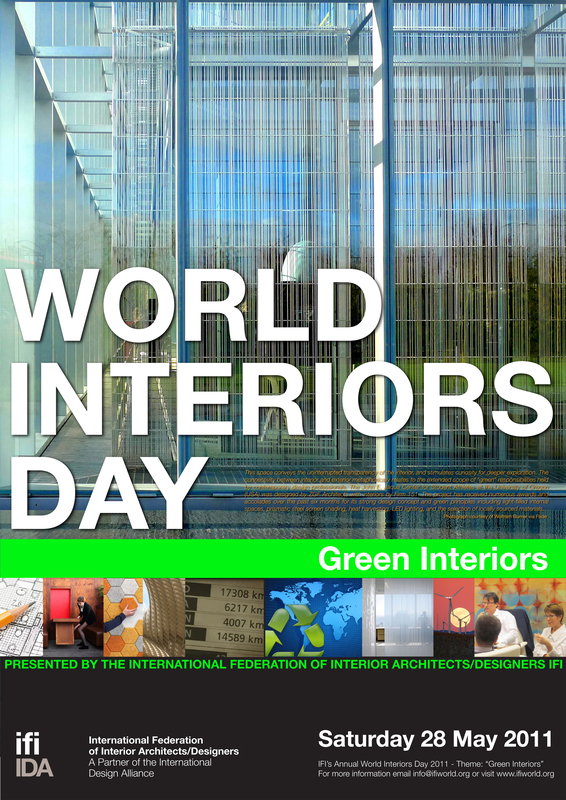 This theme coincides with the 50th anniversary of IFI, as it continues to raise awareness, heighten excellence and expand the contribution of the Interior Architecture/Design profession worldwide. 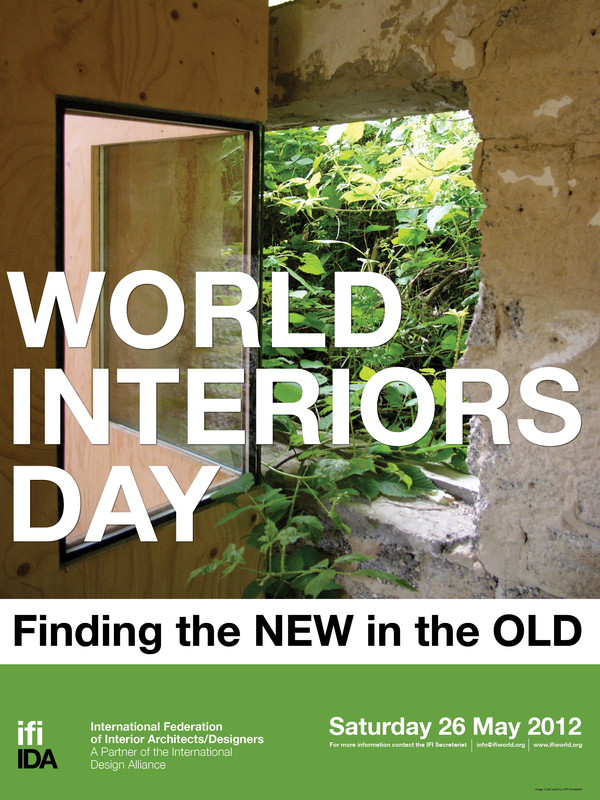 This year’s theme asks the Interiors community to look at our past as we prepare for our future, with poignant questions such as “what role does the history of the built environment play and how does it impact our design today? As professionals, how do we utilize reinterpret, reuse and adapt existing spaces to accommodate them to today’s need. 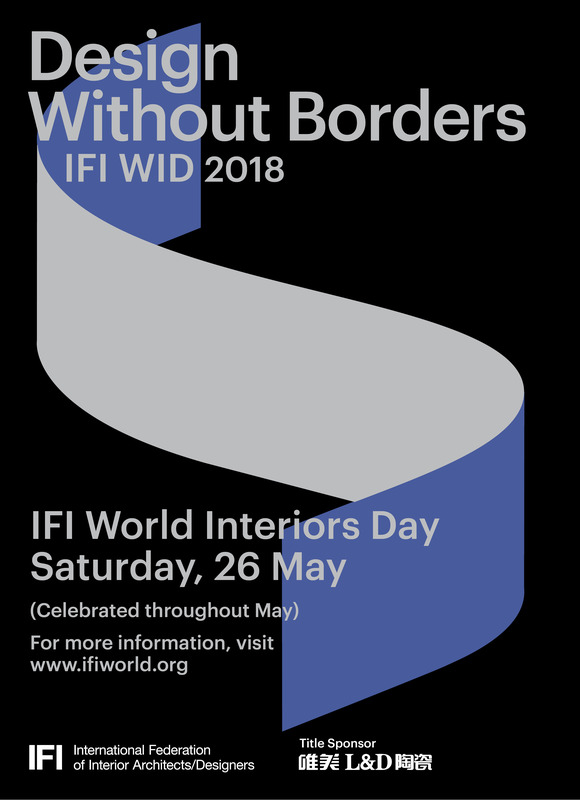 Reflecting a growing awareness and concern for environmental issues, the theme for WID this year addresses the relationship that Interior Architecture/Design has with these vital issues. The community is invited to reflect on how it can contribute to creating spaces that are energy-efficient and earth-friendly. This year’s theme is inspired by the 2009 IFI Design for All Award Winner, 10% Project, run by the Greenside Design Center, South Africa. The 10% project is an initiative that devotes 10% of the college’s annual notional teaching and learning time to community-based design intervention projects. This translates into the college “donating” four weeks of the formal curricula to community development, with the involvement of Interior, Graphic & Multimedia Design students as well as academic staff. 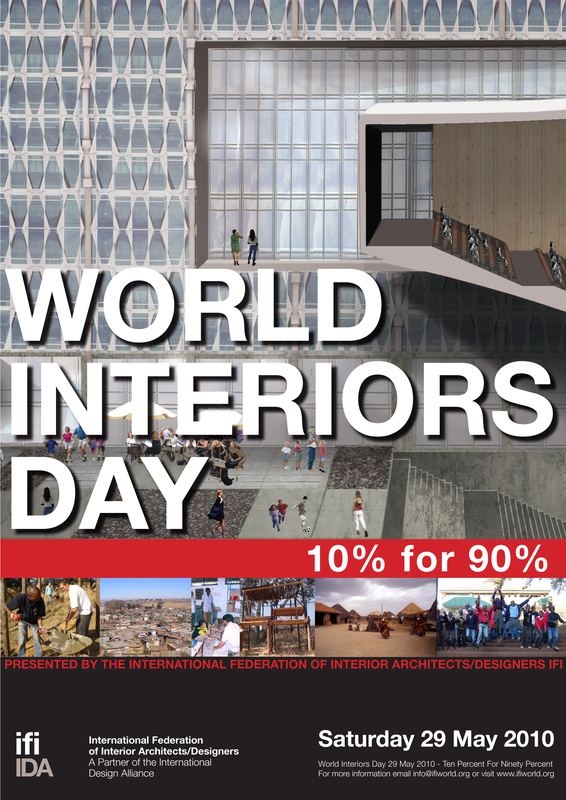 This theme aims to encourage 10% for 90% in keeping with IFI’s mandate to improve human living conditions through the improvement of the built environment.